The year-end is coming closer and closer; the closings have already started to push their pressure on all of us, the exam season approaches and we live the busy lives. I know that this part of the year is usually the second busiest for any accountant or CFO (right after January), but let me stop and take a look back. During 2015, IFRSbox published lots of articles and videos for you and now, I’d like to take my chance to remind you some of the best and most popular pieces. If you haven’t followed our web for the whole year, this is a good opportunity to catch up. So, ready for the countdown? The standard IFRS 15 Contracts with Customers was issued in May 2014 and there’s a lot of discussion going on. The reason is that it introduces much more guidance for revenue recognition than the currently valid IAS 18 Revenue and other standards. 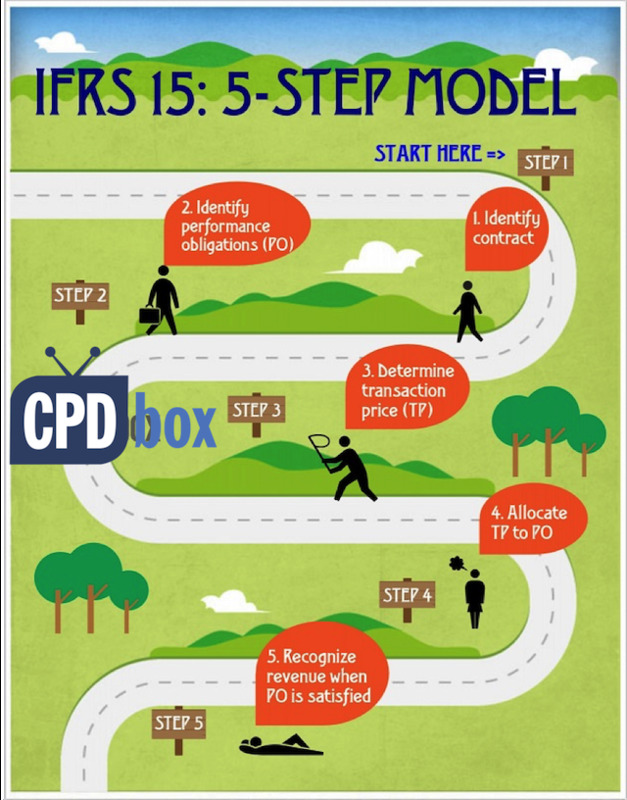 The essential ingredient of this standard is so-called “5-step model for revenue recognition”. If you or your company generates some revenue, then you must evaluate every revenue-generating transaction according to this model. But anyway – is this standard applicable particularly for you? The probable answer is YES, but of course, it’s up to you to assess and find out. In my article “IFRS 15 Examples: How IFRS 15 Affects Your Company”, I tried to come up with the specific industries and short illustrations of the impact of IFRS 15 on that particular industry. Maybe you won’t find your own case there, but it’s still good to read it all and think about it. Hmmm, I thought this article would make it to the top in my short countdown, but it did not, surprisingly. Maybe the reason is that it’s still not urgent, as it applies from 2018. However, you should at least take a look in order to get ready on time. During my years with IFRSbox I realized that foreign currencies is a BIG topic. And, the questions about acquiring some assets from abroad, paying with foreign currencies and capitalizing foreign exchange differences are indeed very often. In my article about Accounting for Prepayments in Foreign Currency under IFRS, I tried to outline a method for dealing with all these acquisitions or purchases from abroad, together with a numerical example. 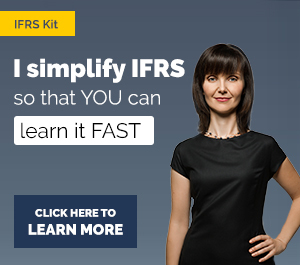 If you are new to IFRS, then this article contains the link to the lesson from my IFRS Kit about the foreign currencies. Here we go again – foreign currencies! Why? Because, when you need to translate your items denominated in foreign currency to your own functional currency, then you definitely need to determine whether the item is monetary or non-monetary. Because, monetary items in foreign currency are treated in a different way than non-monetary items. You’ll find a table that summarizes main balance sheet captions according to their monetary/non-monetary character. So, if you’re into your closings and making a consolidation package for the parent company, then it can be a good refresher! I thought this would be just a marginal issue – was I wrong! The main principle of these loans is that they should be recognized at their fair value initially – which is, in most cases, different from the cash amount actually given to your employee or received from a government. If you want to learn how to do it, then my article How to Account for Employee Loans is for you! You’ll learn the logic behind and the practical example illustrates the theory, too. We can find some property, plant and equipment in almost every single company and in many cases, it represent the most essential, revenue-producing assets. No wonder that many issues related to the accounting for property, plant and equipment arise. Earlier this year, I dedicated two articles to the specific areas of accounting for property, plant and equipment and both of these articles became very popular and commented. The first article, When to Start Depreciation, deals with the principal question of starting to put the cost of your PPE in profit or loss (=depreciation). In short, it stresses the “available-for-use” principle rather than “put-into-use” principle. You will learn that you shouldn’t wait for the operation of your assets before you start depreciating them. The fact that they are ready for use is sufficient. The second article, How to Account for Spare Parts under IFRS, deals with accounting for spare parts, servicing and stand-by equipment as this area is not very well covered by IFRS. When and how to depreciate your spare parts – and no, there isn’t any rule of thumb. You must carefully assess your own situation and apply your own judgment, but this article will give you a hint. During 2015, IFRSbox grew quickly, more and more readers and followers found their way to this website and got some good advice. For me, the feeling that I helped someone is very rewarding, indeed. On top of that I received a lot of comments and feedback – most of it good, some of it bad – and I’d like to thank you for that. I want to thank you for reading my articles, writing about your thoughts and issues in the comments, sending me e-mails and sharing my work with your friends and colleagues on social networks. I really appreciate it very much and I feel honored that my work can help just a little. As I wrote above, I got a lot of comments and questions from you, whether publicly in the comments below articles, or privately via e-mails or our contact form. Believe me, I try hard to answer it all and help you as much as I can. But, I’m only a human and it’s beyond my human capacity to reply everything. I’m still trying and I’m still responding a lot, but I simply can’t do it all. Please, apologize if your question remained unanswered. Although I leave some of your questions unanswered, I publish them and they never get deleted. Because I know that many knowledgeable people visit this website and they can help as well. I truly believe that if you help, it will come back to you one day. Therefore, please help. If you find some unanswered questions in the discussions below my articles and you know the answer, please add a comment and reply. Whether you celebrate Christmas or not, let me wish you all the best in the year to come. I wish you a lot of love, joy and success. Hope you have a great time ahead! Please, tell us something nice in the comments below this article and help me share it with your friends. Thank you! thank you for your articles, it’s been tremendous help! Happy Christmas, I thank you because I scored excellent marks at my exam, so I wish you all the best! Congratulations, Alexis, great news and believe me, I’m very happy to be a part of your success. Merry Christmas! S.
Thanks very much for your regular on various topics. you are requested to keep it up!! my best wishes to you and your family for coming merry christmas and new year 2016. I will keep it up, at least I’ll try! All the best, S.
Hello ma, you have actually done lot of career and academic good to many of us in the year under review. 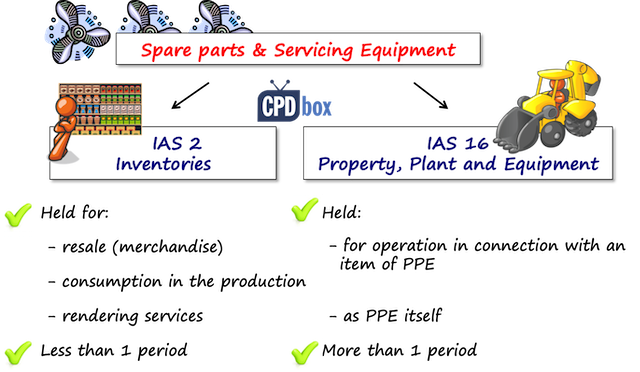 How do i treat spare part that meet the requirement of both IAS 2 and 16. E.g, an aircraft charter company that uses its spare part purchase to service both its own aircraft for repair and replacement (maintenance) and third party aircraft for income / revenue generation. Thank you. Merry Xmas & happy nrw year in advance. Hi Ewuoso, thank you and wishing you Merry Xmas! Could you please post your question below the article about the spare parts? Many people would benefit from the answer, but they won’t see it if I do it here. Thanks! S.
Thanks for Sharing and very Informative. Thank you so much for the well presented articles and colourful and brilliant illustrations. IFRS Box has been my go-to site on-the-go for updates and just refreshing knowledge when faced with new situations in my work place. Keep up the good work and happy festivities! Thank you, Paul, it was nice to have a phone call with you earlier this year 😉 Merry Christmas! 🙂 S.
Nice article I love the way you present your articles. IFRSbox has helped me achieving my goal. Asfa, so I achieved my goal! Thank you! S.
Thank you for the informative articles and for sharing your knowledge with us in a professional way. Would you please let me know if I can find your book in Beirut? thank you, I’m glad to help! Well, I don’t sell any books, just my online courses and they are available worldwide 🙂 You can check HERE. All the best! S.
Merry Christmas to you. Sylvia. Thanks for your hard work and informative articles. Looking forward to 2016. Kerry from New Zealand. Merry Christmas, Kerry and thank you for your appreciation! S.
Excellent presentation on a complex subject like IFRS. We are all professionals so there is no need to ” apologize”. Thank you, Ashoke! You know, I felt it like I need to apologize as the people expect some advice from me, but I just can’t manage it all… All the best! S.
Personally I joined IFRS toolbox this year (2015), believe me it has been very enriching, as tutor of Accounting life has been so cool. Thank you, Bernard! Aaaaa, my voice… I needed to train it a lot and you should have seen my first videos – very embarrasing! All the best! S.
A big thanks for your articles. Indeed very user friendly..ifrs is no more a big deal for me..you’re doing a great job. Prissy, I’m happy to read it, very happy to help! All the best, S.
Thank you, Godwin, I will try! What mail? I have been with IFRSbox.com from past 1.8 Yrs and it is very useful website for professional who want to advance they career in IFRS and very happy to stay along with IFRS Box and thanks for your valuable easy explanation. Dear Suman, it was my absolute pleasure to meet you in person in India. I have the small Ganesha statue from you on my shelf in my “office” and it reminds me my trip to India, it was a wonderful experience. All the best! S.
Your articles have been so helpful, thanks a lot Silvia. Merry Christmas and thank you, Francis! Thank you Silvia, Your article and videos has been and will be of great assistance. Thank you for making it easy to understand and digestible! Have fun and stay blessed this season! 2016…..guess there will be more to discuss. Warm regards to you, Kitan, I’m happy to know! S.
Thank you, great to read it! S.
You are simply great Silva. Indeed you are a fantastic lecturer! I have read many of your articles on IFRS which have been very educative. In fact i have started saving some cash to buy the KIT! God bless you for the knowledge sharing. Thank you, Ismail, I wish you all the best and hope that you’ll find it useful and good investment! S.
Thanks very much for the lecture notes. Am 5days old on this site and what I have learnt so far is very useful. your lecture notes are inspiring and it make ifrs easy for me to learn and practicalise.infact is best to none. I discovered your site earlier this year and it has been very helpful and quite easy to follow. Coming from a tiny island in the Caribbean…. I will like to say thank you for the great content. Many thanks for your time and efforts to make the world a better place through your knowledge of accounting and its dynamics. I really appreciate and hope to share more time together in year 2016. Compliments of the season. Hai silvia , i wish a very happy new year to you ,your family members and to all stakeholders of ifrsbox.com. It gives immense pleasure to read your article. As my spiritual guru says” one should be like a bell , which sound reaches to a miles even thou its head is downward facing ” nothing wrong to be humble and polite.I feel every person who is reading your article should learn humbleness and politeness from u. Before ten years i attend a GMCS meeting in cbe where Mr.Ashok.T. Aram, who heads Deutsche Bank AG said “Communication lies on the humble presumption that everyone doesnt know everything” by gods grace u have the best ever communication skills i have seen, as i myself could follow the subject . (i am least interested in studies before i completed ACA -studied as per oracle of my melmaruvathur guru).i personally feel that value increases only by its use to others. So your value is self explanatory.sorry for writing a too long text in the comment box. My target is trying to answer the unanswered questions,& i request anyone can correct me if iam wrong.your ifrs15 is so important for the people facing acca exam in this december 15 itself.so everyarticle is a winning article according to me. Merry Christmas to you Sylvia. Your articles are very informative indeed. Thank you. I’m grateful to you, for your marvelous effort. 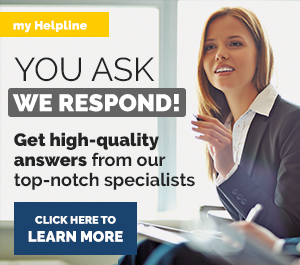 Discussion on this website regarding various technical issues are very helpful for young professionals like me. 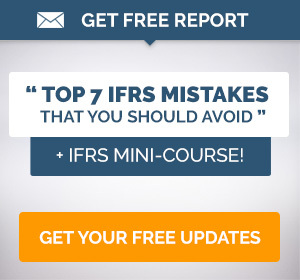 Wonderful explanations of IFRS. Keep up the good work! You are doing great, and please keep up the good work. Your IFRS articles have actually simplified and helped increased my understanding of the applications of some of the IFRS to real-life-work transactions and other events, and also arose my passion and courage to study more on the IFRS, and to take up exams. Thank you and God bless. I’m from Ghana and I can’t express enough gratitude for how helpful your articles have been. Immediately after college I got an internship opportunity to work for one of the big 4s. They have so far been impressed by my understanding of the standards and as a result they are seriously considering employing me as full staff. I keep recommending your site to anyone who wants IFRS simplified and I have on top of list, getting all your premium materials when I get employed. Hello, it is really nice to join IFRSbox. It is so helpful. I like it mostly and I advise my friends to join as well. BIG thanks for you. Legendary stuff, you’ve made IFRS palatable for myself and the accounting world. Thanks very much for the useful lecture notes. You articulate your articles in a way that simplifies the process of understanding financial reporting frameworks. I appreciate your great work…God bless……have a pleasant holiday. Once again, thank you so much. Madam thanks for everything you done for us,for the year 2015 you shaped our brain especially me, and you made me to love accounting,to understand accounting,and being a part of accountants, Thanks thanks thanks God bless u and grant you a long life and successful life, thanks once again. Merry christmas and wish you a very happy new year,very imppressive artical & your effort for knowledge sharing. 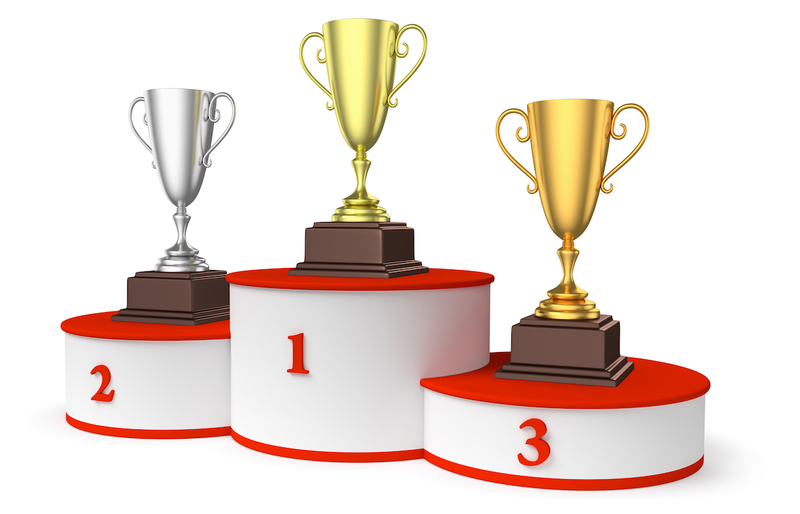 will I get a completion certificate after completing your IFRS Kit course? yes, we issue completion certificates upon request. S.
Your help is fantastic !!! May great prosperity and good health be yours throughout the year 2016 and forward. I very much appreciated your materials and expertise on IFRS that shared on the website. Well I would like t thank you for your wonderful explanation and the articles on IFRS. Well It was pretty easy to understand and you made it so simple, It was amazing. Thanks for this opportunity and for sharing the reviews. I’m very keen on Financial Reporting and would really like to enhance my IFRS skills and be a subject matter expert in IFRS; hence your site. In view of the above; please can you advise if your product can help me attain / aim towards my goal. Thanks for your continuous efforts to make us knowledgeable of IFRSs and any change of it. I) Sales Return _ Dr.
Profit or loss A/c_ Dr. Whether my treatment is correct or not. And what would be accounting treatment for last year sales return? I would be grateful if you give me the feedback in reference of IFRS.